This compact, attractive alarm uses magnetic affinity to initiate its 110 decibel siren. The base of the alarm is bolted to door or window frame the actuator is connected to the window or door. The alarm is activated by opening the door or window. 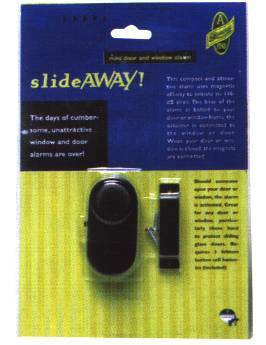 Great for any door or window, particularly those hard to protect sliding glass doors. Available in White or Black. Requires three lithium button cell batteries (included).